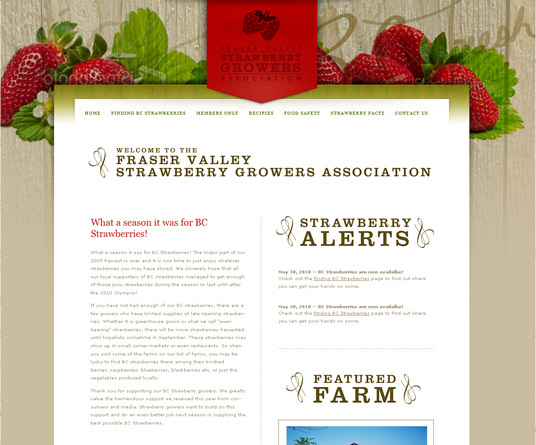 The top half of the home page, which included Strawberry news, alerts, and a featured farm. 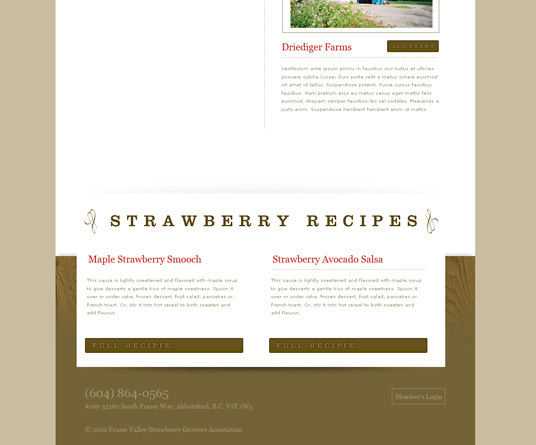 The bottom half of the home page which featured two of the many recipes the website offers. 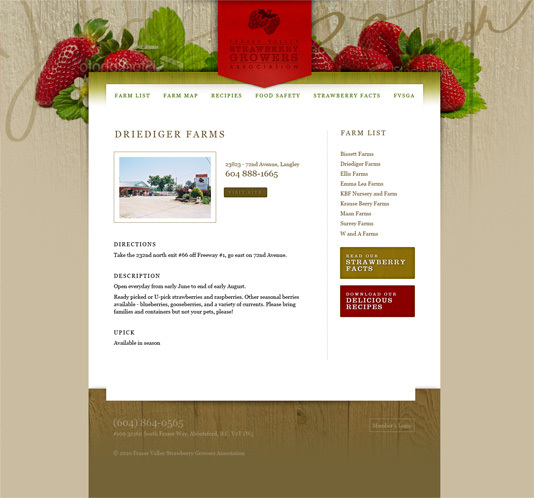 The farm information page. There's one of these for each farm in the association. After a few changes, we set up the website for them (complete with a CMS so that they could easily keep the information up-to-date). Recently, they've had us working on some further changes, mostly to the home page. As well as some basic layout modifications, we did some programming to add a custom Blog, and a twitter feed to the home page. Oh, and we made them a Blogger skin to match their website.